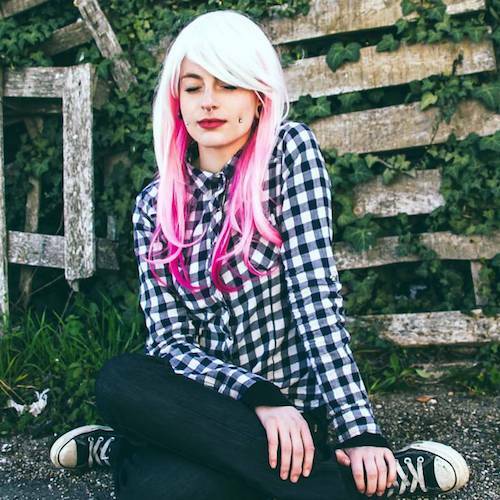 When bubble gum pink is to bright for your taste, take a peek at another delicious alternative, taffy pink hair. Taffy pink hair dye is darker with a tinge of violet for a mellower look. Let’s visit some example taffy pink hairstyles. 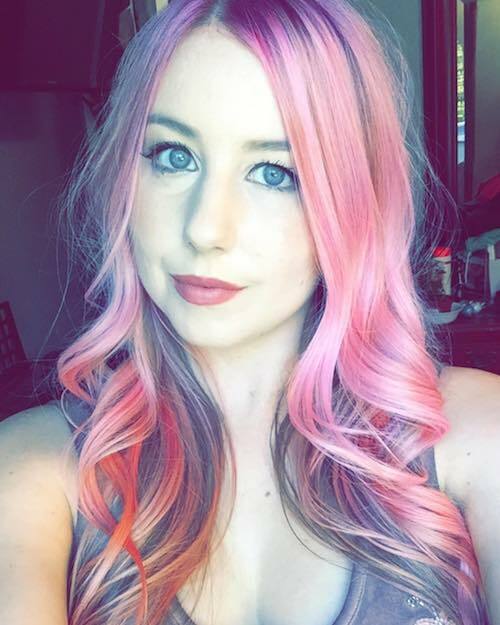 Have a little party in your hair with taffy pink hair color for medium length hair. 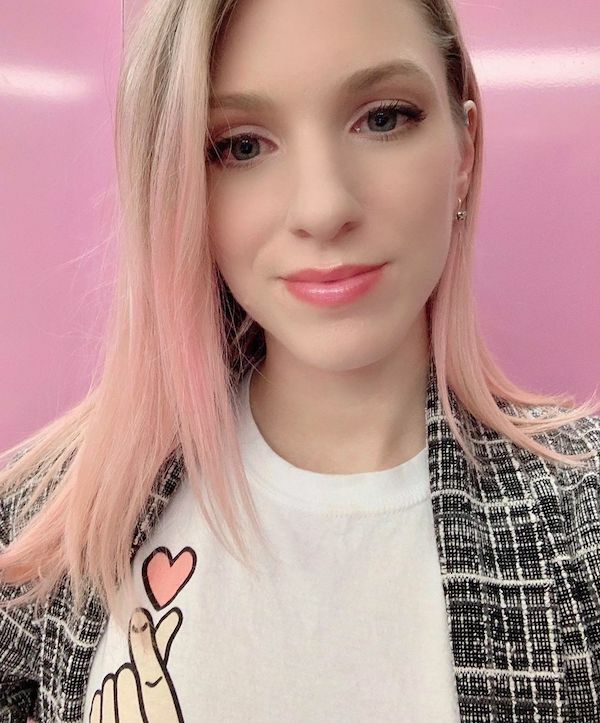 A classic taffy pink hair color for long thin blonde hair is a fun choice for sassy introverts. 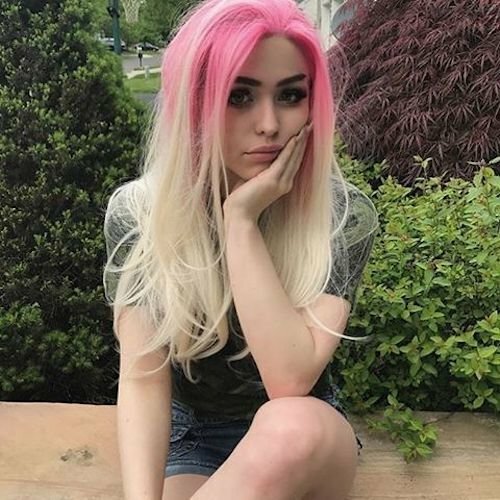 Baby pink hair color blends well with blonde hair, so it’s not surprising that this is a popular combination. 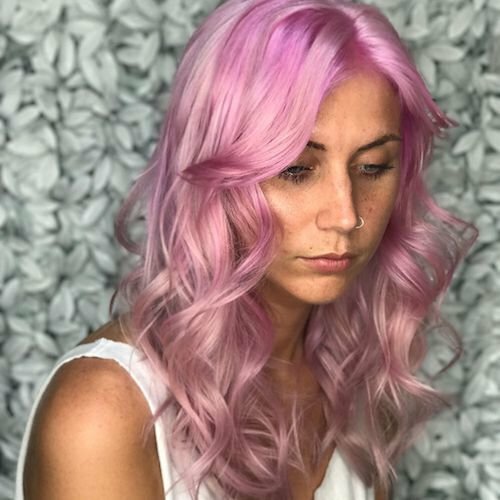 If you’ve got blonde hair and are looking for something to update your look, baby pink highlights could be just what you are looking for. Check out our sample blonde hair with baby pink hair color pictures. Add baby pink highlights to fine blonde hair to take femininity to the next level. 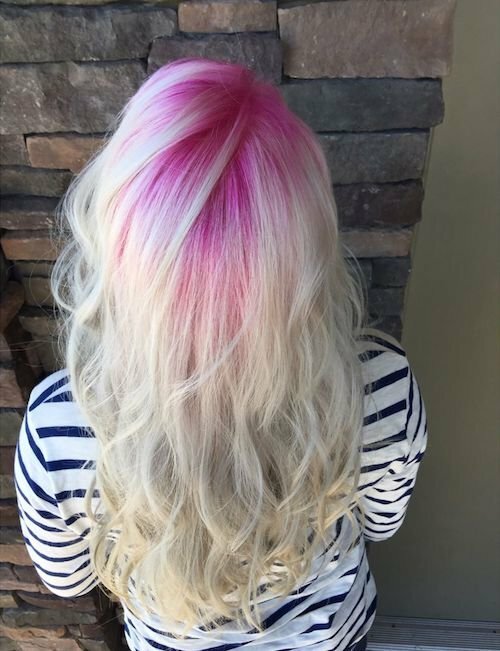 A blonde and baby pink balayage brings beautiful and seamless pink transitions to your hair. 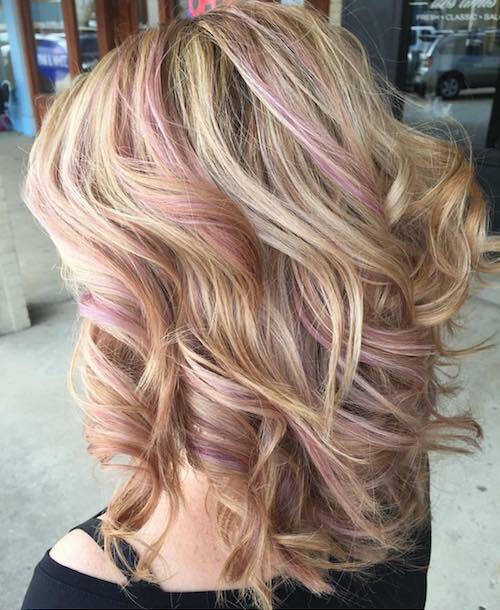 Here’s a curled, medium length blonde haircut with baby pink highlights. 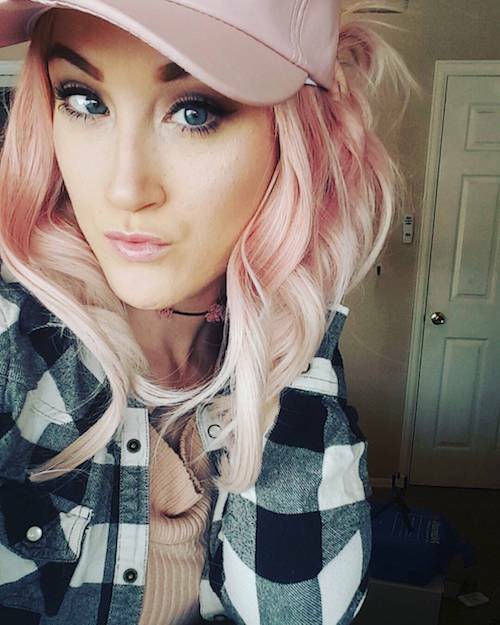 A matching hat and lipstick shade adds to the beautiful pink effect. 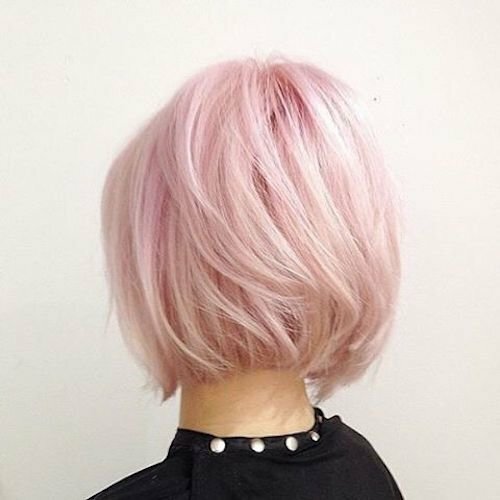 This baby pink highlights on a blonde bob has just enough tint for you to know that it is there. Its a subtle, pretty look that will enhance your blonde hair color. 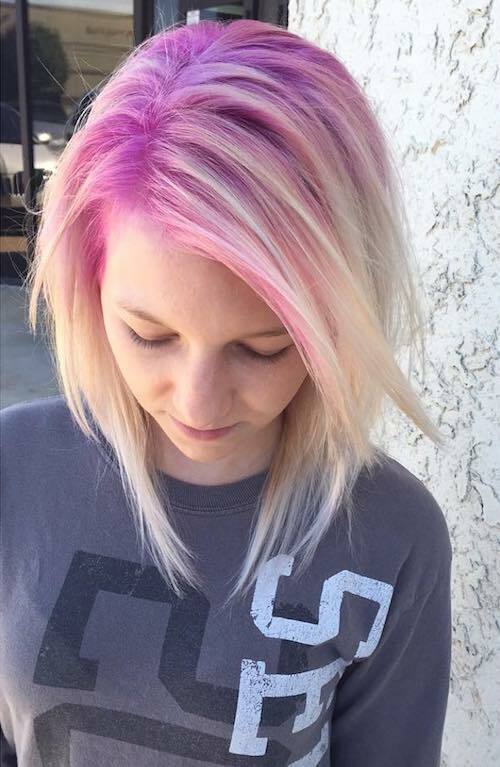 This wavy blonde balayage is infused with baby pink and purple pink shades. With all the complementary colors, it’s closer to an art piece than a hair style. Yet there it is, an opportunity to show your style off. Consider this if you’re looking for a sophisticated hair style with flair. Long blonde wavy hair with baby pink highlights lets you show people your feminine side. Adding matching lipstick and eyeshadow and a pink rose tee to really sell the princess effect. 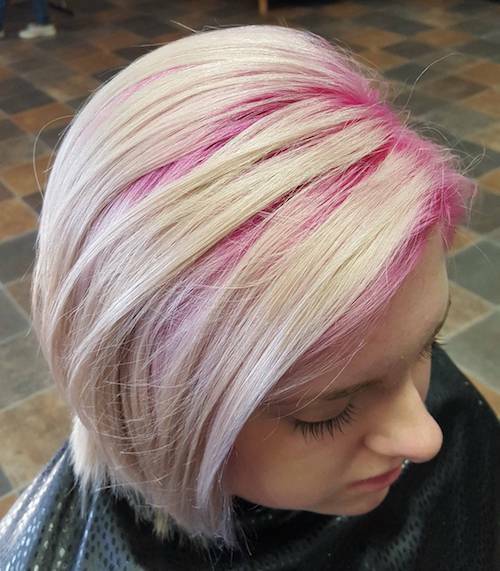 Medium length blonde hair with a touch of baby pink hair paint makes an amazing statement. Just a hint of pink is enough to evoke a dramatic effect. The perfectly matched lipstick shade brings this look to an unparalleled level. 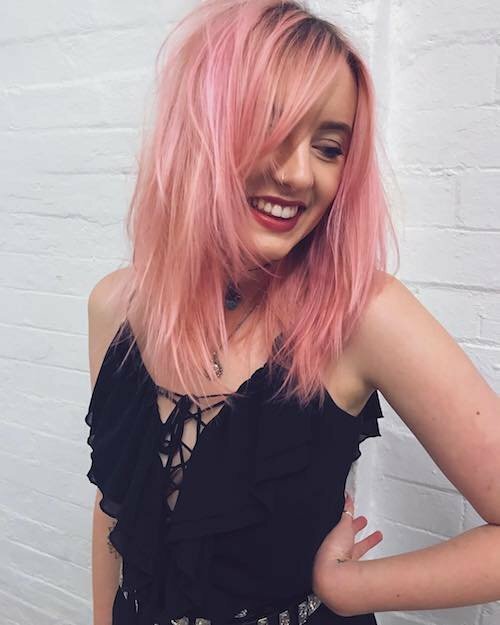 If you like pink hair, but find that a full head of pink is too much for your style and an ombre is too dramatic, balayage may be just what you are looking for. With it’s near seamless blended colors, balayage adds a richness and sense of sophistication to your pink toned hair. 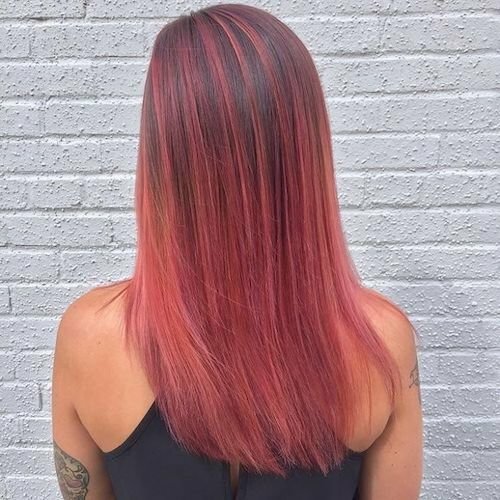 When you’re ready for pink hair, make a gradual transition with balayage. 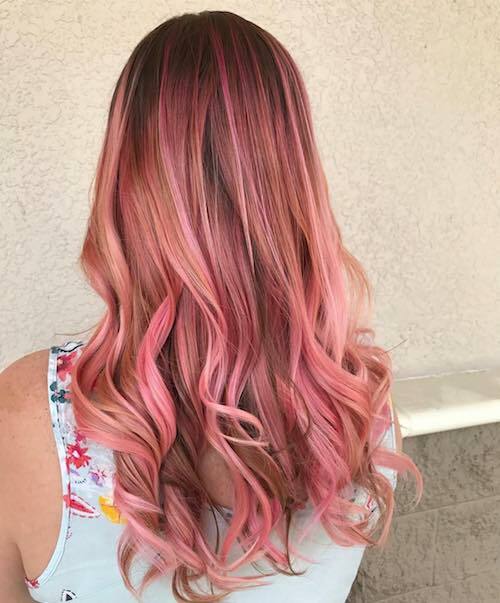 Here are some pink balayage hairstyles to inspire you. For an elegant and sophisticated look, try a multi-color pink balayage on a windswept bob hairstyle. It’s an unforgettable style. 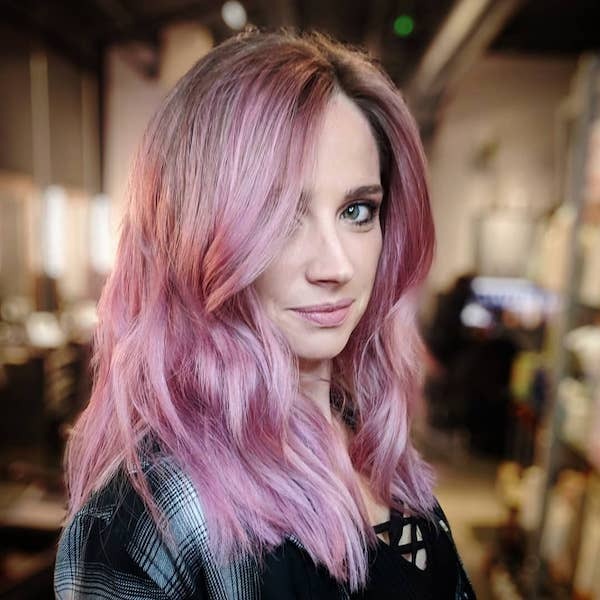 A pink balayage for long straight hair lets you embrace your pink side in a more subtle way. 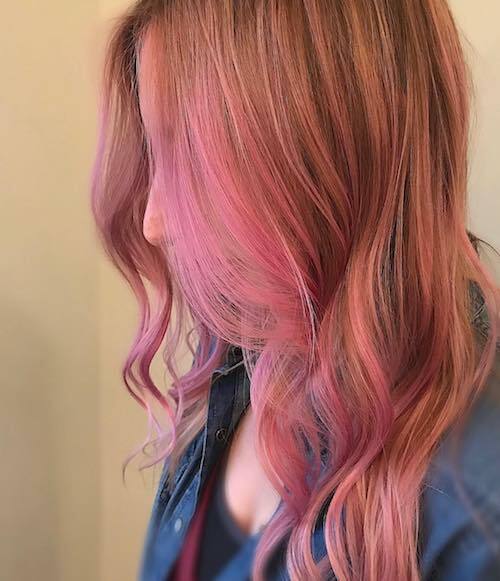 A pink babylights balayage for wavy hair lets your face glisten with a pink halo in the morning sun. It’s another delicate way to go pink. If you want more contrast layer a pink balayage over dark brown with ash highlights. Balayage doesn’t always have to be subtle. 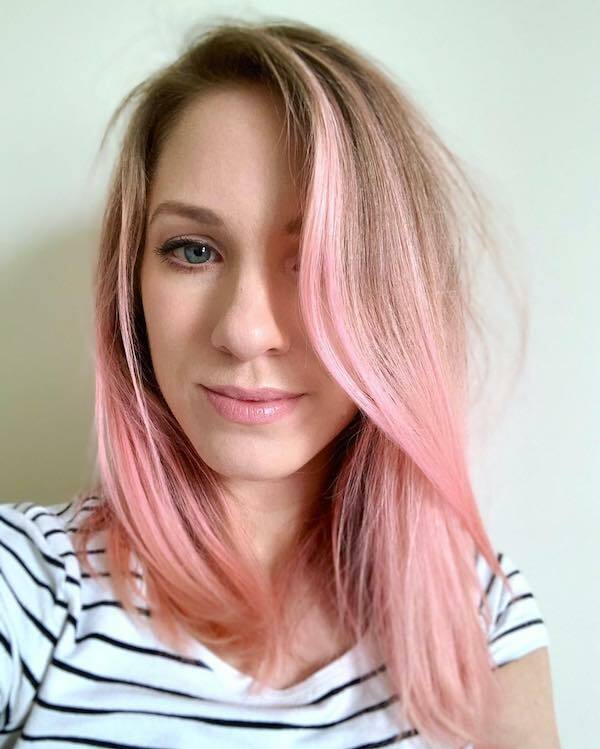 Adding pink balayage to blonde hair is a playful way to add pink to your look. Blending pink balayage into your long wavy hair adds an elegant dimension to your look. It shows that a little bit of pink is all that is necessary to make a bold statement. 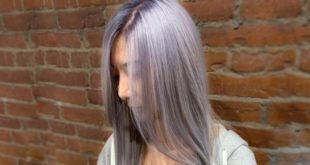 A wonderful way to elevate a traditional balayage hairstyle. For a twist on the typical colored highlights, consider going with colored roots. It gives a subtle but flashy peekaboo hairstyle. 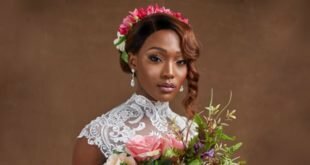 It’s a little higher maintenance since your natural hair color will alter the pink root effect, but if you’re doing it for a special occasion that won’t matter. Here we have some examples of candy pink roots with blonde hair. 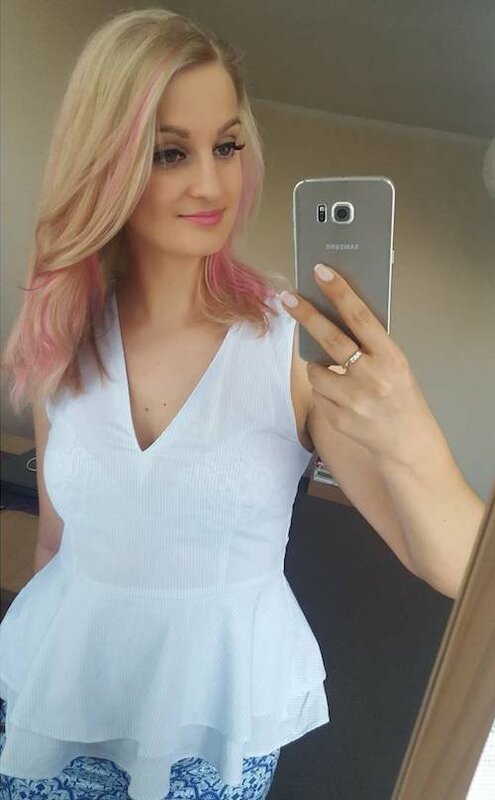 This candy pink roots with layered blonde hair is blended well and looks positively fabulous. 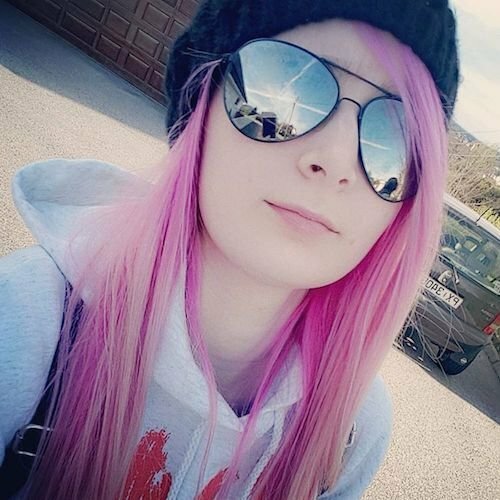 This is a wonderful pink hairstyle for thin hair. 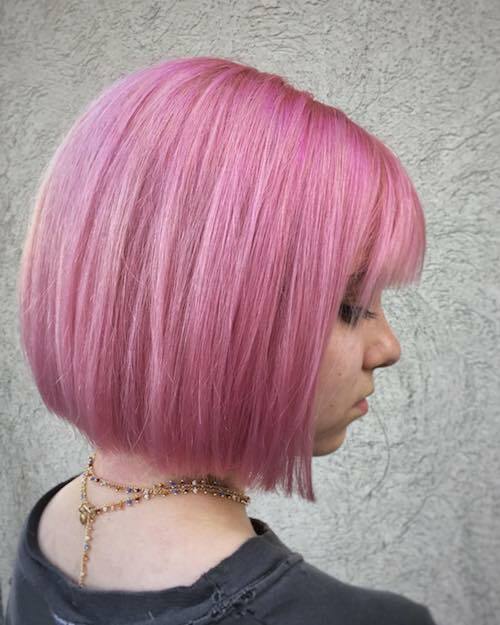 This short blonde bob with candy pink roots gives a nice color contrast. 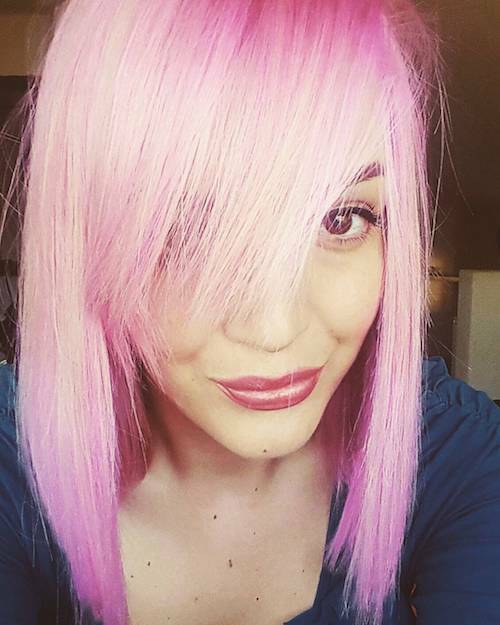 This pink hair color brings a youthfulness to the look and hairstyle. This hot pink peekaboo pink and blonde hairstyle is a bright way to express your pink side. Rose pink roots and base with a blonde ombre makes a soft two-tone hairstyle. 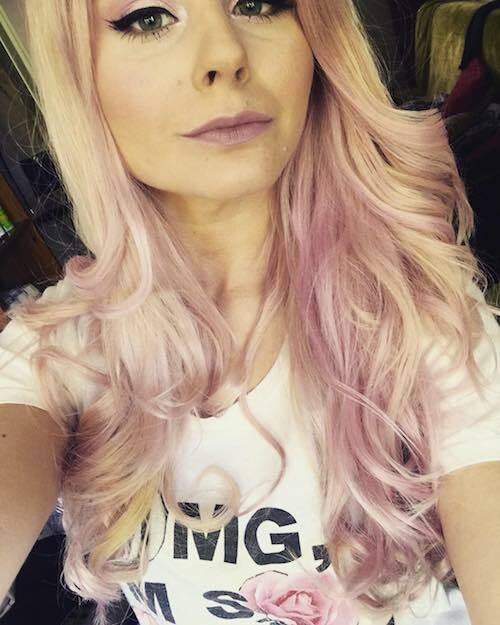 Candy pink roots under a long blonde hair provide dramatic contrast and interest. 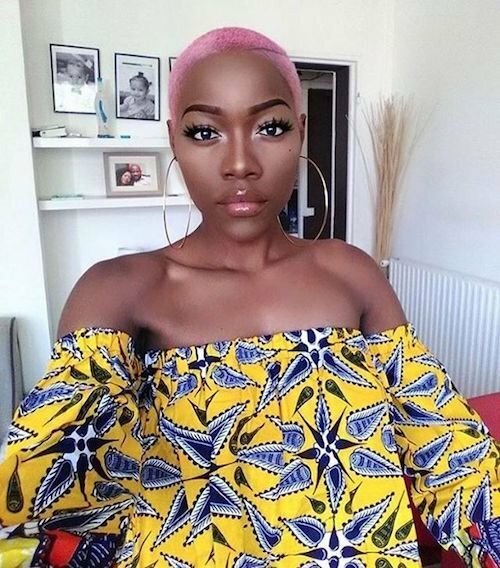 Let’s take a closer look at black women with pink hair. Pink hair color can add freshness to an ordinary hairstyle. For African American women, the shade of pink can range from subtle to shocking depending on the desired effect. 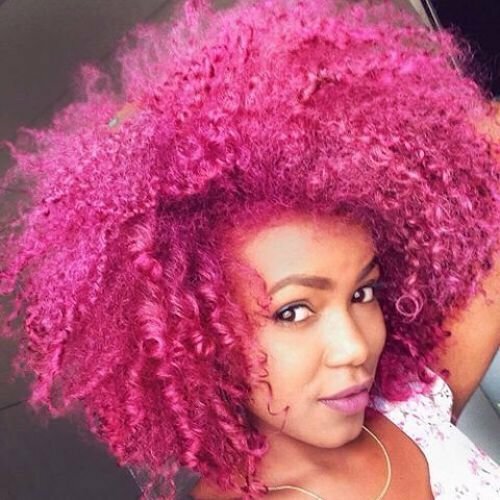 Pink hair color for women of color will attract just as much attention as it does for other women. If you want stand out from the rest, think pink. Here are a few sample pink hair color looks. 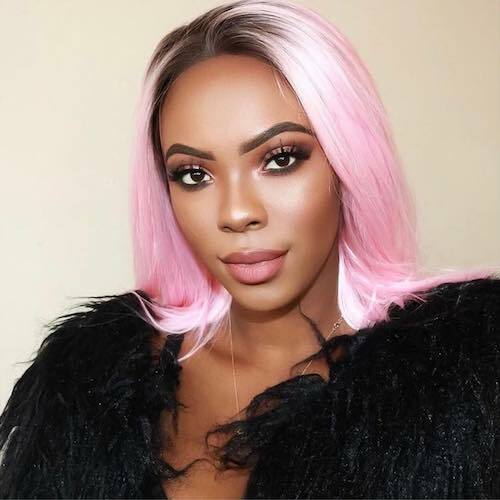 A muted pink hair color for black women brings a touch of pink to brighten a hairstyle without going overboard. 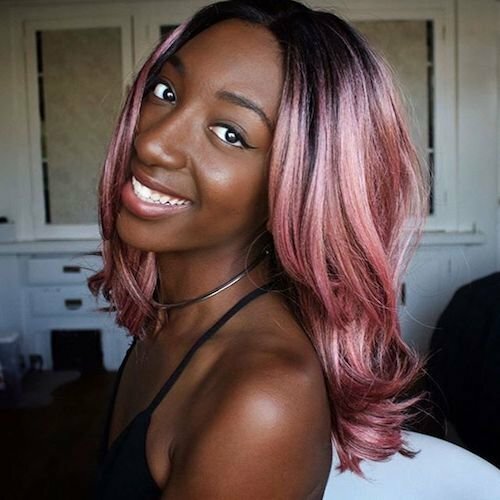 For a look that is sure to attract attention to a woman with dark skin tone, hit up the bubble gum pink hair color. 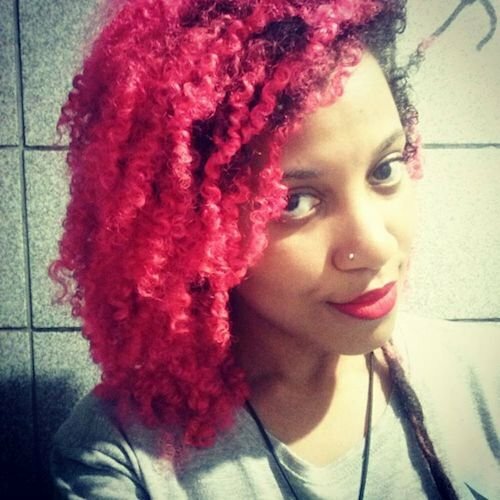 Pink colored curls for black women ensure you’ll never get lost in the crowd. Pair with a matching lipstick shade to add another layer of pop. A large hot pink afro for women of color is a sure way to bring the party with you wherever you go. It’s a super bold pink presentation that needs a big personality to pull it off with flair. 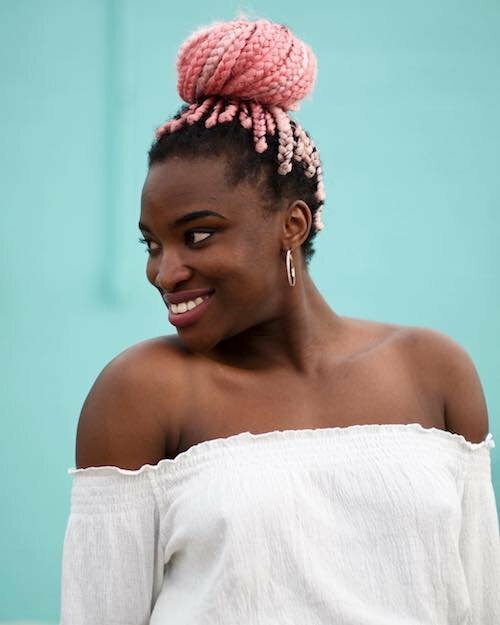 Pink hair color for dark skin tones, braided into a bun for some whimsical fun. It could just about pass for a hat. A short buzz cut for women always makes a statement. Adding a pink color creates a fashionable contrast for women with dark skin tones. We hope you have enjoyed browsing through our collection of pink hair dyes, pink hair colors, and pink hairstyles! Take note of which style you liked the best, or which has given you some inspiration. Let us know what you like, or if you have any other color or style ideas in the comment box below. Thanks!